Prior to Chiang Mai I spent two weeks in Phuket and the little island of Koh Lanta where I spent a lot of time in the sun. My hotels’ pools were epic (here’s how to nab a fab hotel on the cheap), the beach was a few metres away and I spent two of my days on island tours by speed boat. Packing a good high protection sunscreen was vital but it was also important that it be water resistant. 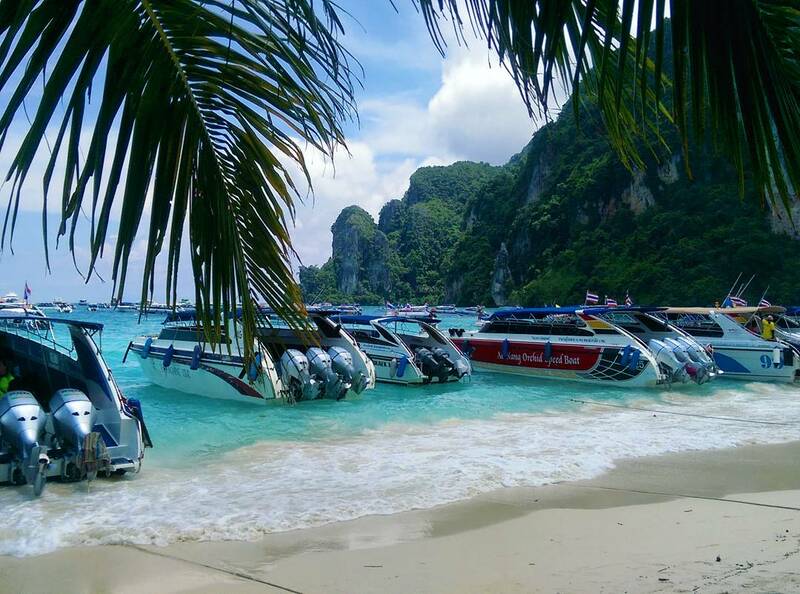 Unlike Cape Town’s freezing ‘look but don’t touch’ Atlantic, the sea in Thailand is as warm as bath water so you’re constantly in and out of it. Then there’s the rain and sweat factor. It’s so darn humid here, with constant ‘flash showers’ and you’re constantly sweating so, again, a water resistant sunscreen is a must. Sigh! It’ll be a while until I see abs again. The food in Chiang Mai is beyond. Anyway, when NIVEA’s Sun Protect & Moisture SPF 50+ water resistant sunscreen arrived I immediately tossed it into my suitcase. I’m a big fan of the trigger spray which has a light, milk-like texture that absorbs fast and doesn’t leave my skin with a white cast. Also, while many water resistant sunscreens have an incredibly tacky, sticky-feeling texture, once Protect & Moisture’s fully absorbed (just give it a few minutes), you might as well be wearing a regular body lotion. You’ll notice Sun Protect’s sporting a ‘NEW Clothing Protection’ sticker as it’s been reformulated to make it easier to wash out any UV-induced stains. Good news because I always wear a tee when I snorkel so as not to fry my back; slap it on when I cruise markets in the boiling hot sun and even use it like a body lotion on my legs at night. (I’m big on travelling light. Anything product that can multi-task is my friend!) In short, I’m essentially living in sunscreen and have yet to notice a stain but, in all fairness, I’ve never had a NIVEA Sun product stain my clothes in the past and I’ve been a friend of the brand since high school. This is the dude I’ve been using on my legs as a body lotion as it’s got a slightly creamier texture. You can also enter via my Instagram and Facebook page so be sure to stop on by! This competition is open to South African residents only and a winner will be drawn at 5pm on 22 September 2017. Good luck girls! This competition is now closed. A big congrats to winner Emma @vintagevixenCT. I spent six days in Chiang Mai (in the north of Thailand) and it was amaaazing! Been using Nivea sun anti-age face sun cream SPF 30 for ever! Love it! Love the soft cream and the spf 50 + which absorbs really well into my skin. NIVEA’s Sun Protect & Moisture SPF 50+ water resistant sunscreen. Definitely NIVEA’s Sun Protect & Moisture SPF 50+ water resistant sunscreen. Nivea anti-age face sun cream SPF50+, I never leave home without it. I’m inlove with the Nivea shower rinse off lotion, leaves my skin feeling hydrated…esp for someone who hates moisturizing! We religiously use the SPF50+ trigger spray bottle. Currently running low and with summer fast approaching a sunscreen top up is in dire need! I love NIVEA’s Sun Protect & Moisture SPF 50+ water resistant sunscreen, the only sunscreen I use! My absolute favourite, use it everyday, is the Nivea Invisible deodorant spray – Black & White Fresh Spray. My Favourite NIVEA products are to many as we are a NIVEA Family. And it really really works. Ive got them hooked on NIVEA. NIVEA Anti perspirant for black & white Whie mark protection & anti yellow staining. NIVEA MEN 48HR Invisible for Black & White anti white & yellow marks. Nivea Soft Moisturising Cream – my trusty fall back for dry sun parched skin! The Cocoa Butter lotion. It smells amazing and is incredibly moisturising! I just love the NIVEA SPF 30 Sun Protect and Moisture moisturising sun lotion with Clothing Protection lotion. My favourite is the 300ml trigger spray SPF 50+. It stands next to my bed so that I can easily grab it to spray my child before she heads off to school. NIVEA’s Sun Protect & Moisture SPF 50+ water resistant sunscreen is my favourite Nivea product! I love all the Nivea products, I currently used the the roll on, body lotion and hand cream. My favourite is the body cream as I found that living in a hard water area, Nivea is my wonder cream for softening my skin. In winter its the Nivea Creme Care in shower hands down, slap some on in the shower, rinse and dry. it saves my dry skin in the winter months (plus, I’m lazy and hate putting on moisturizer). Summer cannot start without their kids trigger spray, my kiddies skin sizzles like bacon in a hot pan during summer and their kids sun spray is a supper essential. I love the shower gels. My all-time favorite Nivea product has to be Nivea Creme, it smells like nostalgia. It reminds me of my childhood and the lovely weekends I used to spend at my granny’s house. She would always give me Nivea Creme to use before I went to bed. I haven’t seen her in 7 years, she lives on a different continent, I miss her terribly. Would love to win the Nivea Sun hamper for my 3 daughters who spend hours each day outdoors, during the summer. Thanks for the chance. My favourite Nivea product is the in-shower moisturizer. The Body Milk Nourishing Body Lotion is my favourite. It gives my skin the necessary moisture it needs. Somehow the smell of Nivea sunscreen is a forever reminder of the beach ❤️ Must say my fav product has to be their “pure fresh” shower gel. Love the light fresh scent. My favourite product is the Nivea Men’s Face Cream. I love the Nivea In-shower Body Moisturiser. .. it’s so convenient, especially in Winter. I used to hate putting on sunscreen because I would always end up looking yellow, white or blue once I applied it on due to my tanned skin tone. Lol! Although once I started using 300ml Nivea spray SPF 50+, I haven’t stopped!!! I’m obsessed with its spread and the light texture on my skin. Also it absorbs and blends so well in my skin. OBSESSED! I love all Nivea products – but the best is Nivea soft – I use that everyday and night as a moisturizer and then slap on my Nivea spf 50 during the day as I have dry skin. I use it everyday from school days and even got my husband hooked on it for the last 7 years of our marriage! I always use Nivea Protect and Moisture sun spray. I love the texture once it’s on the skin and how easy it is to apply. I’m on vacay in Greece at the moment and my trusty Nivea Protect and Moisture sun spray is permanently sprayed on my skin. I also LOVE the Nivea Cocoa Butter Body Moisturiser, which smells like summer holidays, and doesn’t leave a “sticky moisturiser” residue on my legs. I can even put it on and “gooi” on some tight jeans afterwards without them sticking to my legs. Love it! Definitely either the Care & Coconut Body Wash or the new Nivea Cherry Blossom & Jojoba Oil Body Lotion! LOVE! I love their night cream, similar to the iconic Nivea Creme. And I actually bought a bottle of the Nivea Kids Trigger Spray Spf 50+ because it’s cheaper than the adult-sized versions! I absolutely love the Nivea Invisible Cooling Mist. The whole family enjoys using it because it’s quick and easy. No mess no fuss. I like a lot of Nivea products, their deodorants (Double Effect and Protect & Care are favourites) and all their SPF 50 Sunscreens are great for summer and throughout the year. At the moment I am really fond of the Nivea Cellular Anti-Age Eye Cream, I am not quite ready to get onto the retinol train yet, so Nivea’s hyaluronic acid option is fantastic. The in shower moisturiser is one of my faves! And I love the cooling mist as well. My FAV Nivea product has to be, without a doubt, the good-old “Nivea Creme”. My gran has been using this as her face cream since she was 16 years old and swears by it to this day! It’s so lovely and buttery I use it as a hydration mask in Winter when my skin really needs the extra moisture. I love the Nivea sea minerals lotion. Smells so fresh! I’m not going to lie and say I have 1 favorite. NIVEA is part of my daily routine. Body cream, face cream day and night and more. Nivea is the love of my skins life. It adds moisture, refreshes and keeps my skin glowing. I love the NIVEA powerfruit relax shower gels. 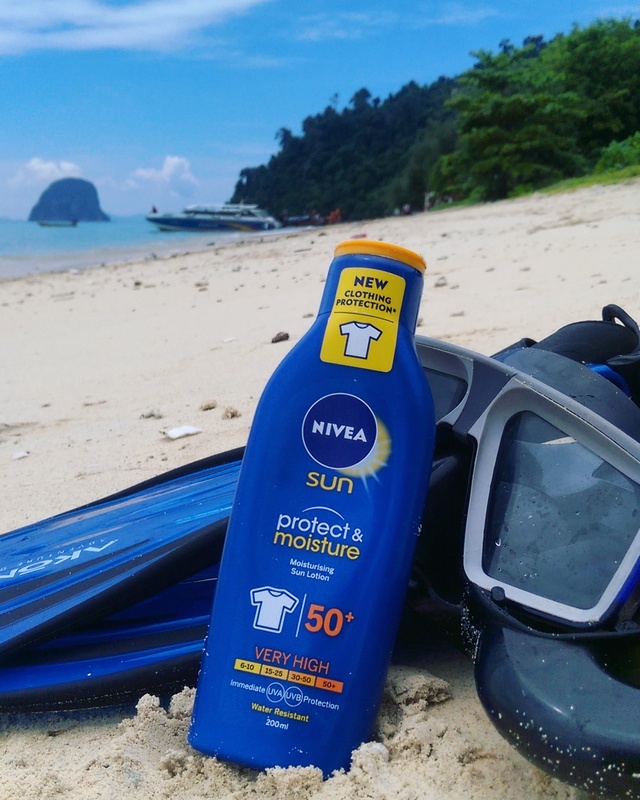 I am always at the beach surfing so need to use a really good water resistent sunscreen and find that the Nivea Sun Protect & Moisture SPF 50+ water resistant is perfect for me….time to stock up for Summer now. Their kids sunscreen! My daughter and I are both allergic to most sunscreens except for the Nivea kids range. We don’t go anywhere without it in my bag and her school bag. It’s absolutely wonderful, long lasting, keeps my skin moisturized and the Vanilla scent is heavenly. It applies smoothly as silk onto my skin. Its great as its non sticky, the Vanilla scent gives me a relaxing and calm feeling, My skin is nourished, protected and has a beautiful radiant glow. I love their Happy Time body lotion and shower wash. The smell is bliss! I absolutely love the NIVEA Anti perspirant for black & white Whie mark protection & anti yellow staining. It keeps my black and white clothes free of stains and it keeps me fresh all day long. Oh wow would love to win some Nivea shower gels or Nivea body creams which are just my best. Will always remind me of your amazing trip. One of my favourite product has to be the Nivea Body Goodbye Cellulite Gel I’ve been using it since it was launched and I’m not stopping now. This is really tough because most of my products are Nivea products so you made this really difficult for me to pick just one.